B & M produces thousands of custom name plates each year for a variety of industries. Our plates can be found all around the world from the tunnels of the Toronto Subway System to the gold mines of South Africa! 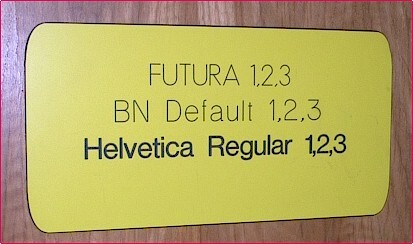 The standard font style used on Industrial Plates is BN, however; other font styles are available (see the Font Table at the bottom of this page for available font styles). Two-tone gravoply stock colours include: red, burgandy, navy, royal blue, black, and pine green - all with white letters. Red, white, yellow, gold, and silver available - all with black letters. Other colours available by special order. Reverse engraving available to produce multi-colour combinations. Lamacoid nameplates available in any size and quantity. 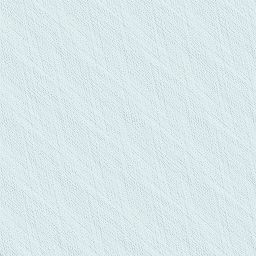 We stock 1/16" and 1/8" gravoply in a variety of two tone colour combinations. Reverse engraving available to provide you with multi-colour combinations. All plates come with an adhesive back. Plates pre-drilled for rivets by request. Stainless steel nameplates available in any size and quantity. We produce rectangular and disc shapes. Plates are pre-drilled for rivets by request. B & M maintains a huge stock of plastic and metal Legend Plates for all manufacturers of push buttons, switches, and pilot or indicator lights. 22 and 30 mm sizes available. Custom name tags in your choice of size and colour. Fasteners include your choice of pin backs or aligator clips. Spruce up your stable, at home or on the road.....or simply treat yourself! Our name plates come in a variety colours and font styles to satisfy almost everyone's stable decor! 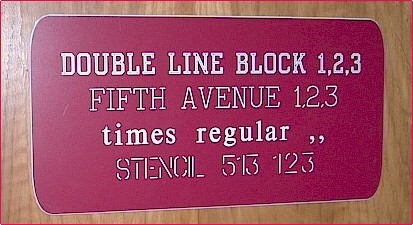 The Brass Plates are only available in the following font styles: DB, HR, OR, S2,V2. We recommed HR and/or OR for bold lettering on the Halter Plates. See the Font Table at the bottom of this page for detail on available font styles. Two-tone Plastic Stall Plates are available in any font style and the following colour schemes: red, burgandy, navy, royal blue, black, and pine green - all with white letters. Red, white, yellow, gold, and silver available - all with black letters. Other sizes, colours, and reverse engraving (producing multi-colour combinations) available by special order. Our Brass Bridle/Saddle Plates are 3/8" x 2.5" in size and come with 1 line of text in your choice of font styles. Mounting brads, nails, or screws are supplied. Our ornamental Brass Halter Plates are 0.75" x 4.5" in size and come with 1 to 2 lines of text in your choice of font style. We recommend HR and/or OR font styles on Halter Plates. Brads are supplied. This is our most popular selling Stall Plate! 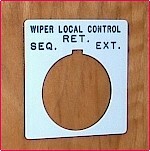 Our Plastic Stall Plates are engraved on 1/16" thick two tone gravoply. They are 2" x 8" in size and come with 1 to 2 lines of text in your choice of font style. Mounting methods include: (i) adhesive back of double sided tape, (ii) predrilled holes and screws, (iii) stall plate holder (not included). Please specify your choice of mounting and colour. Same as above but 2" x 10" in size and comes with 1 to 2 lines of text in your choice of font style and colour. Same as above but 4" x 10" in size and comes with 1 to 4 lines of text in your choice of font style and colour. A fabulous way to advertise your sale horses at the show, track, or at home in your own stable! This Plate is 1" x 8" in size and available in your choice of font and colour. Mounts to wall with screws or adhesive back (double sided tape). A essential way to hang name plates in a busy stable! Simply change name plates by sliding them into/out of the holder. Holds the 2" x 8" Plastic Stall Plate. This sturdy holder is constructed of aluminum and comes available in a gold or silver finish. Mounts to wall with screws or adhesive back (double sided tape). Same as above but holds the 2" x 10" Plastic Stall Plate. Same as above but holds the 4" x 10" Plastic Stall Plate. These beautiful and elegant, brass name plates are suitable for trophies, artwork, keepsake boxes, door plates etc. Please note they are not suitable for outdoor use. The Brass Engravable collection is only available in the following font styles: DB, HR, OR, S2,V2 (see Font Selection Table below for more detail). This brass plate measures 3/4" x 1-13/16" in size and comes with your choice of font styles. The screws are imitation, the plate is adhesive backed for mounting. Measuring 5/8" x 2-1/8" in size, this brass plate comes in a choice of silver or brass colour. Choose your style of font and specify colour choice. Adhesive backed. This brass plate measues 6/8" x 2-1/16" in size and comes with your choice of font style. Adhesive backed. Measuring 7/8" x 2-1/2" in size, this brass plate comes with your choice of font styles. 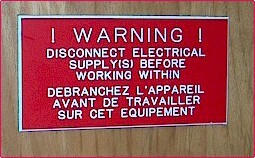 The screws are imitation, the plate is adhesive backed for mounting. This brass plate measures 5/8" x 3" in size and comes with your choice of font styles. The plate is adhesive backed for mounting. 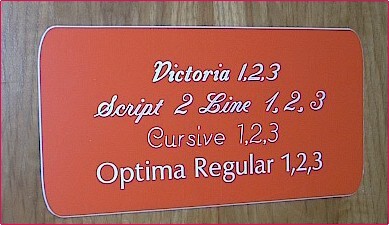 Measuring 3/4" x 3-1/2" in size, this brass plate comes with your choice of font styles. Predrilled and supplied with screws or nails. A large plate, measuring 1-1/2" x 3" in size, this brass plate comes with your choice of font styles. Adhesive backed. Another large plate suitable as a door plate, this brass plate measures 1-13/16" x 3-7/8" in size. It also comes with your choice of font styles. Adhesive backed. If you don't see a brass plate that meets your requirements, we also make custom sizes. Adhesive backed or supplied with nails or screws to suit your needs. Choose from the following font styles B & M has available. Identity your choice of font by the 2 letter font code. To add spark to your multi-line plates, choose a different font style for each line. All pricing shown on this page are 'single unit prices' and are current as at January 2004. Prices do not include taxes, freight, brokerage, or duty costs.